The upmarket interior hints at executive level travel with the interior feeling a class above its rivals in the same class. The interior feels comfortable simple in design, with the 6.5-inch central touch screen unit being the focal point. Chrome is used to add a stylish finishing touch. The Passat comes with an impressive list of options as standard however the list of additional extras could tempt you to treat yourself such as electric boot lid, adaptive cruise control and sat nav. The Passat is fun to drive throughout its range of engines. The 6 speed gearbox comes as standard and there’s plenty of grip. There’s also the option of Volkswagens impressive DSG Twin Clutch automatic gearbox. 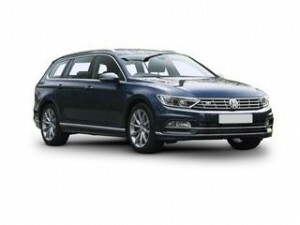 The ever popular Volkswagen Passat could come at an even more popular price thanks to our no fuss and no fee car quote service. We work to assist you in purchasing and funding your new car. Get a quote today and see how much you could save online instantly. Hassle and fee free at all times. Coast2Coast Cars is here to save you money on your next car purchase. We can even advise on finance options subject to status however the dealer direct will provide you with a list of what finance options you may have.